Raspberry ketone is one of the 200 molecules found in raspberries that produce the unique aroma and flavor of the fruit. It is also present in kiwis, cranberries, and blackberries. In the human body, “ketones” are alternative energy resources produced from the breakdown of fat when there is a lack of carbohydrate intake. For decades, raspberry ketones have been synthetically made to add flavor and fragrance to food products, as well as cosmetics and health supplements. In supplements, raspberry ketones are added as weight loss enhancements. This form of the ketone is necessarily unnatural, as it would take 90 pounds of raspberries to produce one raspberry ketone supplement capsule. While natural ketones are associated with burning excess fat, raspberry ketone supplements may have a different use. Researchers examining the potential use of raspberry ketones for weight loss discovered the compound had a molecular structure similar to capsaicin in 2010. Capsaicin is the heating factor found in hot peppers. Using the theory that capsaicin induces weight loss, research focused on the effects of raspberry ketones on rats and on human tissue. But while the trials were successful in rat studies, the same could not be confirmed in human studies. First, you may find yourself wondering what some of the possible raspberry ketones side effects are. While there has never been a scientific study performed on human subjects to determine if they have any side effects, some people who have taken raspberry ketones have reported side effects. While it should normally be safe for them to take, raspberry ketone side effects for diabetics may include lowered blood sugar levels and a decreased risk of bleeding. If you’re diabetic and thinking of taking raspberry ketone as part of a weight loss program, consult with your doctor first and make sure they carefully monitor you. As ketones also regulate the body’s levels of norepinephrine, another possible raspberry ketones side effect is a spike in body temperature after you take the supplement. This leads to an increased heart rate and elevated blood pressure. Because of the effects they can have on the heart, it is recommended that anyone with a heart-related condition such as chronic obstructive pulmonary disease avoid taking raspberry ketones. Diabetics and people with asthma or kidney disease should also find an alternate weight loss supplement, as raspberry ketones side effects can aggravate those conditions as well. Of course, being a stimulant, anyone with an anxiety disorder should also avoid taking the supplement, since raspberry ketone side effects may have an adverse reaction with any medication they’re taking. These safety points were investigated in a study published in the Regulatory Toxicology and Pharmacology journal in 2015. The intake of raspberry ketone supplements negatively affected the human body, specifically the reproductive system and the heart. This study recommended further human clinical studies based on the raspberry ketone component dinitrophenol, or DNP. This chemical compound induces heat production within the cells to speed up the metabolic rate. This may cause mild symptoms of dizziness and nausea, as well as lead to heart failure. Finally, since the thyroid controls metabolism, which raspberry ketones boost, hypothyroidism, or an underactive thyroid, is also a possible raspberry ketones side effect. As with many supplements, raspberry ketones have shown positive results in lab studies. Many people have also given the supplements rave reviews as an aid in their weight loss journey. Life Sciences published a mice study in 2005 exploring whether raspberry ketones could help control weight gain while breaking down fats for energy. Split into two groups, one set of mice was fed a high-fat diet with raspberry ketone supplements for 10 weeks, while the other group was introduced to the supplements in the last five weeks of the study. The majority of mice experienced no significant increases in deep fat tissue or body weight. Raspberry ketone supplements were also shown to prevent the inflammation of liver tissue in rats fed a high-fat diet. This 2012 study, published in the Journal of Medical Food, suggested that the ketones protected the liver. It should be stressed that both studies involved intakes of very high doses of raspberry ketones. The mice and rats were given a daily amount of the supplement equaling up to 300 milligrams (mg) for humans, more than 200 times the suggested dosage. As there is no clinical research on the effects of raspberry ketone alone in humans, attempting to gain the same results with high doses could initiate severe complications. For the sake of disclosure, there is one human study involving raspberry ketones combined with other metabolism-boosting substances. The researchers provided 70 obese women with supplements containing the ketones as well as capsaicin, garlic, ginger, caffeine, and synephrine over an eight-week period. One group used the substances with exercise and calorie-counting to lose nearly eight percent of their body fat, while the second group only counted calories and exercised to lose close to three percent body fat. 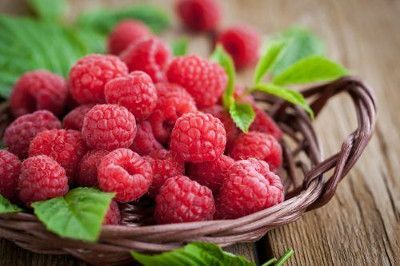 The success rate of this particular study could not be attributed to the raspberry ketone use, as either one or a combination of the substances could have been the key contributor to the weight loss. Now that you’ve seen the possible raspberry ketones side effects and determined that this is still the diet supplement for you, here’s what you should keep an eye out for when buying raspberry ketone supplements. Make Sure It Has a “Supplement Facts” Label: Admittedly, many of us simply pick up products without reading the ingredients. But when it comes to something important like avoiding raspberry ketones side effects, you should always read the supplement facts label; this goes for all health supplements, not just raspberry ketone. If the raspberry ketone does not have a supplement facts label, do not buy it—this is a huge red flag. Check the Ingredients: Again, when it comes to something like health supplements that may cause side effects, it is very important that you read the ingredients, right down to the fine print, before you buy, especially since purchasing the wrong product can lead to raspberry ketones side effects. Adhere to Dosage Recommendations: Depending on the particular raspberry ketone supplement source, recommended daily dosages may range from 100 mg to 1,400 mg. At the lowest dose, the supplement is 56 times the threshold of toxicological concern, TTC, for Class 1 substances, which equals 1,800 micrograms (mcg) per day. The toxic studies have only been performed on clinical rats. Add an Exercise Routine: Since raspberry ketone is intended to enhance the metabolism rate, introducing a regular exercise program in conjunction with the supplements may help with weight loss. The ketones may also increase energy levels, which encourage exercise movement. Exercising will also work to balance hormone levels, which is necessary for the raspberry ketones to work. The in-store and online markets are flooded with raspberry ketone supplements of various strengths. Each one has its own focus on weight loss and unique, flavorful taste. When it comes to scientific evidence, the quick weight drop, or prevented weight gain, has only been observed in animal studies. Clinical trials involving human consumption have yet to be conducted. In addition, any weight loss obtained by the lab rats required extremely high dosages of raspberry ketones. These doses may equal toxic levels for humans. Potential side effects of these synthetic ketones include heart palpitations and elevated blood pressure, as well as the aggravation of asthma, diabetes, and kidney conditions. The same positive compounds in raspberry ketone supplements can be found in organic berries, kiwis, grapes, rhubarb, peaches, and apples. Cox, L., “What Is Raspberry Ketone?” Live Science, June 23, 2017; https://www.livescience.com/39972-raspberry-ketone-supplement-facts.html, last accessed February 2, 2018. “Raspberry Ketone: The truth behind this BANNED fat-burning slimming aid,” Express; https://www.express.co.uk/life-style/diets/752932/weight-loss-pills-diet-raspberry-ketone, last accessed February 2, 2018. Morimoto, C., et al., “Anti-obese action of raspberry ketone” Life Sciences, May 2005, 77(2):194-204; https://www.sciencedirect.com/science/article/pii/S0024320505001281, last accessed February 5, 2018. “Why You Should Take Raspberry Ketones With A Good Exercise Plan,” Ketogenic Supplement Reviews; https://www.ketogenicsupplementreviews.com/blog/why-take-raspberry-ketones-with-an-exercise-plan/, last accessed February 6, 2018.